In case you’re looking for a storage solution that could enhance the spaciousness, practicality and appeal of your workspace, consider buying, assembling and using the modular drawer storage system that we have designed with your specific needs in mind. 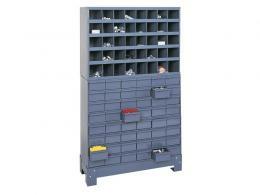 What Is the Purpose of the Modular Drawer Storage System? 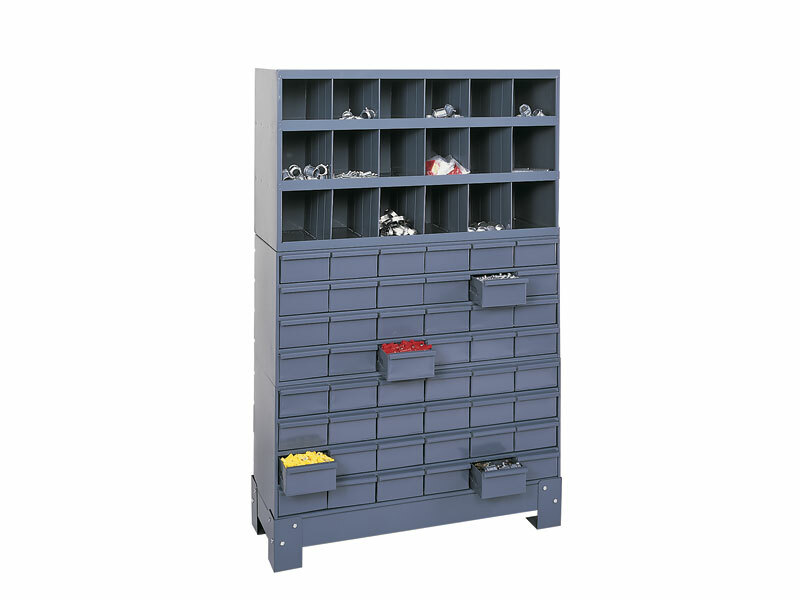 The modular storage systems with drawers that we provide are durable, resistant and configurable with compartments and dividers added to help you organize accessories, small parts, hardware, lab instruments, tools and various other loads with ease. Modular cabinets with drawers increase ergonomics, giving you the opportunity to make the most of every inch of available space inside your working environment. Considering it's affordability, simple, compact design, safety, ideal utilisation of space, ergonomics and durability, modular cabinets are a great choice for virtually any type of residential and commercial applications. 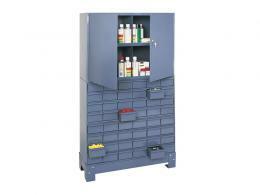 They can be installed in garages, workshops, offices, warehouses, and any other indoor space where users may need to implement clever, versatile storage solutions that go well beyond space-saving advantages and ensure a simpler, more convenient method to deposit and protect a generous selection of high-value contents. Suitable for businesses and individuals that demand modern, easy to use storage systems that occupy less space and provide the highest number of benefits. These items are a smart investment for professionals operating in different industries (accounting, healthcare, automotive, construction, real estate), who require the best organising alternatives for their accessories, inventory, office supplies, small parts and other loads. 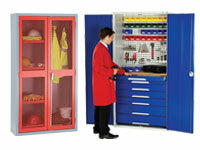 Our modular drawer storage systems occupy minimum space inside a home or office and offer maximum parts storage. Their sturdy steel construction displaying an appealing grey powder coat finish is another notable advantage worth considering. The modular sections are readily assembled, meaning that you would have to spend less time and energy installing these handy pieces of workplace furniture. We offer you the opportunity to choose from three bestselling models. Whether you choose to buy a 48 door cabinets with 18 or 40 parts bins, or wish to purchase the unit with a keyed, multi-use utility cabinet, rest assured knowing that all our models meet the highest quality standards and come with small price tags and additional perks, including free shipping.